What is fettuccine? 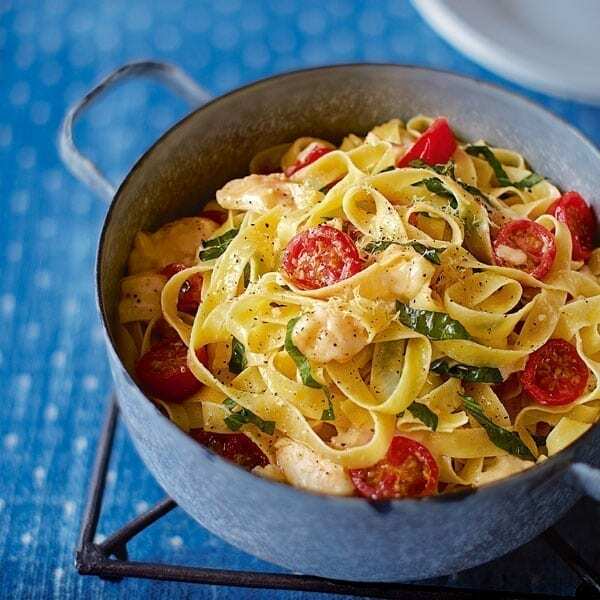 Fettuccine is a type of long, thick, flat pasta – like ribbons – that is often paired with butter or cream-based sauces. Find out where it comes from, and browse three recipes to try. And what, you might ask, is the difference between fettuccine and tagliatelle? The answer lies in the region of origin in Italy. Fettuccine is found in the cooking of Rome, while tagliatelle will be found on the tables of Emilia-Romagna, which includes the city of Bologna. Fettuccine alfredo is probably the most popular dish using this particular pasta, which is coated in a rich sauce of butter, parmesan and cream. The dish itself is thought to have been created by Alfredo di Lelio, for his wife who suffered from morning sickness. The plain pasta, or pasta in bianco was the only thing she could keep down.